Being John Havens: New President of Citigroup Inc.
New York Times reported that Citigroup Inc plans to name John Havens as president and chief operating officer as part of a structural overhaul. The move is said to be back grounded to address the bank's efforts to expand. Reuters and other media picked up the news. Citi quarterly profits is of $1.3 billion. But still coming down from the $7.6 billion loss in the fourth quarter of 2009. In a few days, being intimate, with being John Havens may just very well be the norm for every business voyager. John P. Havens was the head of the investment banking division, Now he would become president and chief operating officer of the bank. 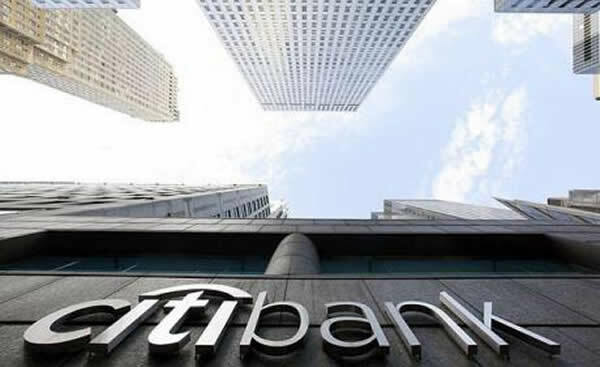 As the New York Times so elegantly and scientifically states, the move will "ripple through Citi�s investment bank". Much like gravitational waves indeed. "I remain excited about helping Citi regain its position as the world�s most respected and successful financial institution.� said John Havens. Confidence for rought times to execute the plans for the future, is just one of the qualities it takes to being John P. Havens. It was 2009 when the news first came out. There was a new man in the office of Citigroup. John Havens was then described by the Guardian as �a top lieutenant to chief executive, Vikram Pandit.� That year John Havens made 9 million USD. And so he became the highest paid employee of the post crisis year of group. John Havens previous position are all top positions, but the questions again rise. What is it like being John Havens? Forbes Profile describes John P. Havens as a worldwide leader in corporate and investment banking, sales and trading, transaction services and alternative investments. Forbes also dares to age him and says he is 52 years old. Many top words have been used to describe the man. CEO, CAI, Founder and Chairman. His portfolio holds a wide range of interesting butterfly effects. From close to home to abroad the Forbes profile again uses words to describe him. Words such as, Head of Institutional Equity at Morgan Stanley, increasing authority, and "served on many NYSE committees over the years and just ended a term as a Director of the NASDAQ market". The driving force, the President, the memo writer, the quotes, the entire life. In a few days, being intimate, with being John Havens may just very well be the norm for every business voyager.